When participation in an established group running Training Program doesn’t work for you – for whatever reason – Southwest Endurance Training can provide the plans, guidance and tools you need to reach your running goals. Whether it’s preparing you for your first 5K race or Marathon, or fine-tuning your current training routine, we can help you achieve your goals. Autumn and Brandon Ball, owners of Southwest Endurance Training, are dedicated to embracing every person’s goals, fitness level and timeline. 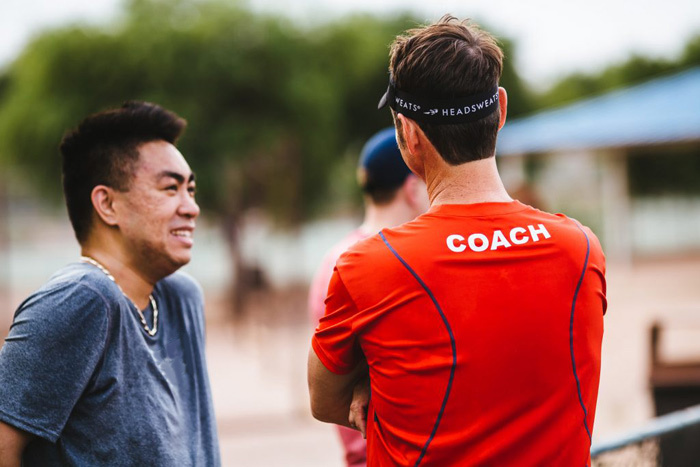 As certified Distance Running Coaches with extensive personal experience both coaching and running, we can provide you with the reliable information and guidance you need to meet your goals. We believe running can be life-long form of exercise, that’s enjoyable and relatively pain free. We will provide you with a solid training plan, a thorough education in all aspects of running training, and the motivation to achieve your goals. Daily plan for 10-12 weeks specific to goals and fitness. E-mail Autumn @ Autumn@swendurancetraining.com to begin the process. Include information about your goals, your current fitness level and any challenges or problems you are facing in meeting those goals. With a simple, free consultation session, together we will determine whether you need to sign up for an Individualized Training Plan, Individualized Coaching or both. If you sign up for a specific Individualized Training Plan (5K, 10K, Half or Full Marathon), we will provide electronic copy of a daily plan along with specifics about pacing, run/walk interval progression (if applicable), nutrition and hydration guidelines, injury prevention suggestions and more. This does not include on-going consultation and coaching. If you are interested in Individualized Coaching either with or separate from a Training Plan. Includes and hour of in-person session to focus on your specific running goals and challenges. This may include running form, biomechanics analysis, nutrition and hydration guidance, injury prevention techniques, as well as other training challenges.